Home/Uncategorized/What is the Difference Between a First-Party Insurance Claim and a Third-Party Insurance Claim? FORT LAUDERDALE, Florida. There are two main types of claims that a person can make after suffering a loss or damages: first-party insurance claims and third-party insurance claims. In a first-party insurance claim, you are making a claim against insurance you have purchased to protect yourself. If you purchased homeowner’s insurance and your roof was damaged in Hurricane Michael, you’ll be making a first-party insurance claim. If you purchased flood insurance and your home was flooded during Hurricane Michael, you will be making a first-party insurance claim. Health insurance is another type of first-party insurance. If you purchased long term care insurance and need to make a claim on this insurance, you are making a first-party insurance claim. A third-party insurance claim, on the other hand, is liability insurance that protects the holder from claims made by a third party. According to Investopedia, car accident claims are the most common type of third-party insurance claim that are made. Another type of third-party claim might be one made if a person gets injured on the premises of your home and you want to use your insurance’s liability protection to reimburse the individual for his or her injuries or losses. Leader & Leader, P.A. 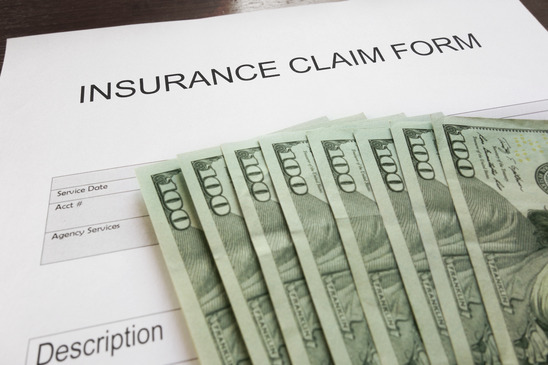 are first-party insurance claims lawyers in Fort Lauderdale, Florida who assist people making a range of claims. For example, if your home suffered damages during Hurricane Michael and you are struggling to make a claim, Leader & Leader, P.A. may be able to assist you with your first-party homeowner’s insurance claim. According to AJC, the Florida panhandle continues to struggle to recover following Hurricane Michael. Businesses have been devastated and homeowners have suffered significant losses. Navigating the claims process can sometimes be a challenge, especially if you have never made a claim before. If you think the settlement your homeowner’s insurance is offering is not sufficient to cover your losses, you may want to speak to the first-party insurance claims attorneys at Leader & Leader, P.A. in Fort Lauderdale, Florida. According to the Florida Office of Insurance Regulation, 125,356 claims have been made following Hurricane Michael. These claims include residential property claims, commercial property claims, flood claims, and business interruption claims. 57,907 claims have been closed and paid, and 56,056 claims remain open. Only about half of all the claims made for Hurricane Michael have been closed. If you have an open claim and have questions about your rights and options, consider speaking to a first-party insurance claim lawyer today. A lawyer can review the fine print of your policy, review your damages, and help you understand your rights under the law. Don’t settle for less than you may deserve and don’t pay for more out of pocket than you need to. If you diligently paid your homeowner’s insurance, you deserve to be covered. Contact Leader & Leader, P.A. today to learn more.